Macquarie Commercial are proud to offer to market for sale via public auction, the property known as 11 Lee Holm Road, St Marys. Sold with a six-month leaseback at market rental, the freestanding industrial facility will appeal to both occupiers & investors alike. 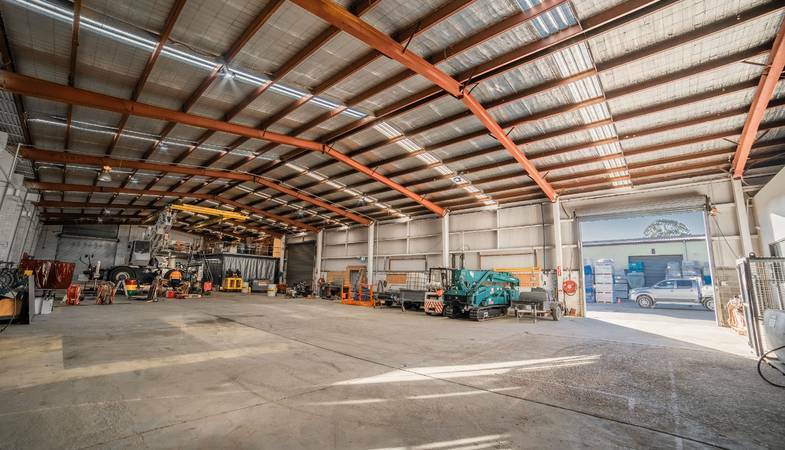 The property is ideally positioned within St Marys Industrial Precinct on Lee Holm Road close to the Lee Holm Road & Christie Street intersection which offers exceptional access to the Great Western Highway & M4 Motorway via the newly opened Werrington Arterial Road. With multiple container height roller doors, dual driveways, clear span warehouse design, ducted air-conditioned office area, kitchen, lunchroom & multiple amenities with shower, the newly renovated building will suit the vast majority of industrial uses ensuring an easy transition for an occupier or an easily lettable asset for an investor. With St Marys set to see substantial capital growth with the construction of the Western Sydney Airport & associated infrastructure, now is the perfect time to take advantage of the opportunity to secure an affordable freestanding industrial property in a growing market. For further information including an IM & contract or to inpsect the property, please don't hesitate to contact exclusive agent Luke Belotti.